THE Geelong Star has been banned from fishing again, after it killed an albatross. Mike, I hope you had a fun, restful break and got to enjoy some time with family and friends on our beautiful coast. From around Australia we've had reports of exciting fishing adventures, diving with turtles and surfing with dolphins. How lucky are we?! Unfortunately – fishers and ocean lovers off the NSW Sapphire Coast are less lucky right now – because the Super TrawlerGeelong Star is vacuuming up marine life right in their backyard. Check out the photos below. Fancy fishing right next to the Super Trawler? Read more: Can you believe this crap? Conservation and recreational fishing groups are outraged by the Australian Fisheries Management Authority’s latest ploy to shield the Small Pelagic Fishery, in which the super trawler Geelong Star operates, from genuine community consultation, by holding a three-week public consultation period over the Christmas holidays. 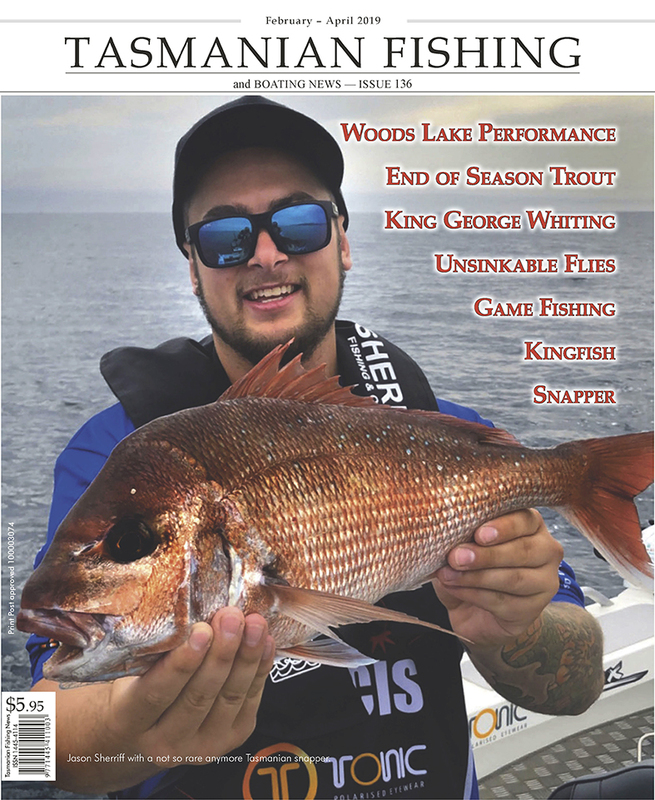 The Australian Recreational Fishing Foundation (ARFF), the peak national body representing Australia’s recreational fishing community has expressed disappointment and concern that the Geelong Star operators have not heeded advice from ARFF or honoured undertakings made at a meeting with the Government, Australian Fisheries Management Authority (AFMA), ARFF and the vessel operators before Christmas. Tasmania and Southern Australia to suffer even more from Super Trawler. The Stop the Trawler Alliance is alarmed that the Small Pelagic Fishing Industry Association is pushing the super trawler into southern Australia and claiming that they are reducing impacts on recreational fishers and marine life. “The Industry decision to pause use of the super trawler in Zone 7 in northern NSW is designed purely to silence MP Bob Baldwin before the Federal Election without having an impact on their fishing operations. There has been community outrage and local MP Bob Baldwin has done the right thing and responded to this, however the industry doesn’t have a permit from the NSW Government for super trawlers to fish there anyway,” said Nobby Clark of Game Fish Tasmania Sports Fishing Club. Read more: Tasmania and Southern Australia to suffer even more from Super Trawler. A delegation of recreational fishers and conservationists from the Stop the Trawler Alliance today delivered over 14,000 new petitioners’ names to Government MP Sarah Henderson, calling for a permanent ban on super trawlers in Australia’s Small Pelagic Fishery, bringing the total petition to 230,000 concerned citizens. “The Geelong Star has demonstrated that factory freezer trawlers cannot economically fish under management conditions that reduce impacts and community concerns to anywhere near acceptable levels. The Turnbull Government has inherited a lemon with super trawlers, but there is now an opportunity to respond to the overwhelming public call for a ban on factory trawlers in the Small Pelagic Fishery,” said Rebecca Hubbard of Environment Tasmania. Can you chip in a few dollars a month to kick destructive Super Trawlers out of Australia ? The latest news is that a second Liberal Member of Parliament has publicly demanded a ban on all Super Trawlers! Image: Bob Baldwin, who has come out for a Super Trawler ban, chatting to our new PM Malcolm Turnbull. Let's jump on this chance to boot the monster boats! Member for Paterson, Bob Baldwin, has joined Corangamite’s Sarah Henderson and demanded that we boot out the monster boats. This is a big deal. It was Abbott and Colebeck that opened the door to foreign Super Trawlers. But now the tides have turned. With a new Prime Minister and a federal election looming, we have a unique opportunity to get rid of the monster trawlers for good. This is our chance to end the dolphin deaths and plundering of local fish stock. Can you chip in a few dollars a month to kick destructive Super Trawlers out of Australia? Monday 19 October 2015 Conservation and recreational fishing groups are extremely concerned by the new AFMA arrangements to consult stakeholders on the Small Pelagic Fishery. This fishery is the target of the massive factory trawler Geelong Star and an issue of great public outrage. “The Small Pelagic Fishery is now the only major federal government-managed fishery which does not have its own Resource Assessment Group, despite the huge level of public concern around it’s operations and impacts. AFMA have systematically reduced meaningful stakeholder engagement in this fishery. 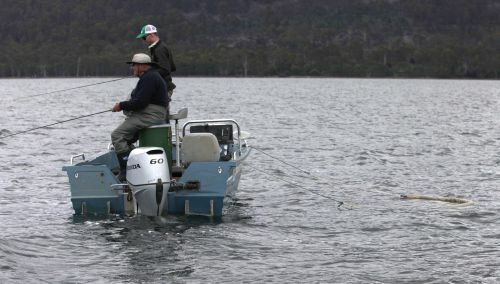 Recreational fishers and conservationists are being increasingly sidelined from fisheries management processes,” said Jon Bryan from the Tasmanian Conservation Trust and former conservation representative on the Small Pelagic Fishery Resource Assessment Group. You won’t believe it. The Abbott Government is about to approve the slaughter of more dolphins by the foreign factory trawler Geelong Star. Send an urgent email here to the Environment and Fisheries Ministers and make sure they don’t approve more dolphin deaths. Dolphins are known to feed at night, and after the Geelong Star killed nine dolphins in its first two fishing trips, the Australian Fisheries Management Authority banned it from night fishing. But now, the operators of the Geelong Star are crying poor and lobbying to lift the night fishing ban, even though they don’t have a proven way to stop dolphins and seals dying. The Premier, Will Hodgman on the Geelong Star freezer factory trawler. or in this web page below.